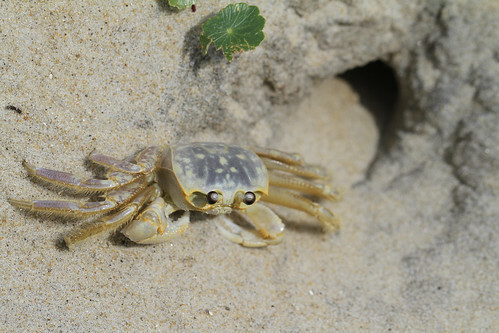 Crab, a photo by Barbara2112 on Flickr. This is a photo I took while at Nags Head in the Outer Banks in north Carolina. I just love this little guy as every time I was about to snap the shutter….he’d move. Totally gone. I took this about a year ago and put it on Flickr and forgot about it….here it is now, a bit dusty but just as enjoyable to me as when I shot it. I hope you like it too!